Stop by the Nevada City United Methodist Church for soup, sandwiches, pies, and warm drinks. There are plenty of fun crafts for the whole family! Nov. 25, 26 & 27, 10 a.m. – 5 p.m.
Meet the artists and see demonstrations of their craft at LeeAnn Brook Fine Art with live jazz by Induction. Items from the gallery’s Annual Holiday Gift Table includes work by LeeAnn Brook, Mike Snegg, Victoria Johnston, and John Williamson. 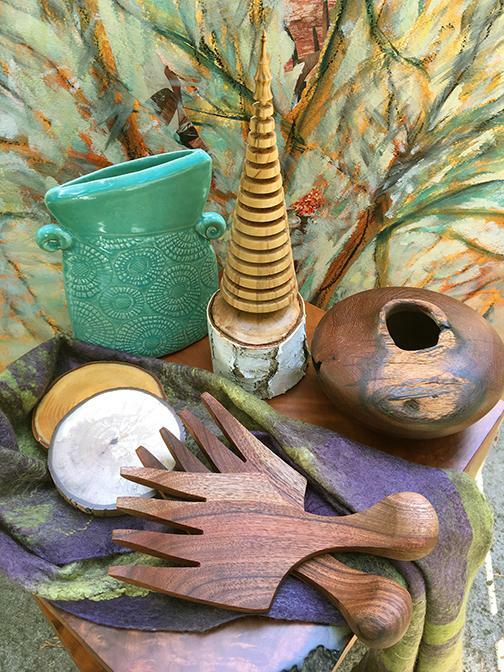 The available items by these artists are ceramics, sculpted trees, wood vessels, hand-crafted wood coasters and salad forks, hand-dyed and hand-felted scarves, and paintings. “Scrooge” has been performed at the Chatauqua Playhouse in Sacramento since 1978 with Rodger Hoopman as Scrooge. Now Hoopman makes his debut at the Nevada Theatre in Nevada City, along with a stellar holiday cast!! Tickets for Scrooge are only $20 in advance, available at the BookSeller, Harmony Books, online at legacypresents.com or by calling (530) 268 5419. 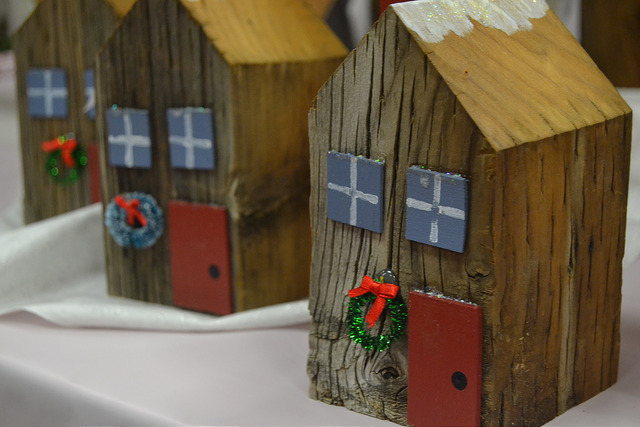 Rated as one of the top handcrafted shows in Northern California, the Country Christmas Faire features unique gifts and crafts from top artisans from across the state. At the faire there will be live entertainment, festival foods, the Gingerbread House exhibit, errand elves, wagon rides, and a community bon-fire. Victorian singers and the Sierra Symphony quartet will perform throughout the event. Santa will be available each day until an hour before the event closes. Free babysitting will be offered by Girl Scouts of the Northern Mines Service Unit, so parents can drop off their children while they enjoy holiday shopping. 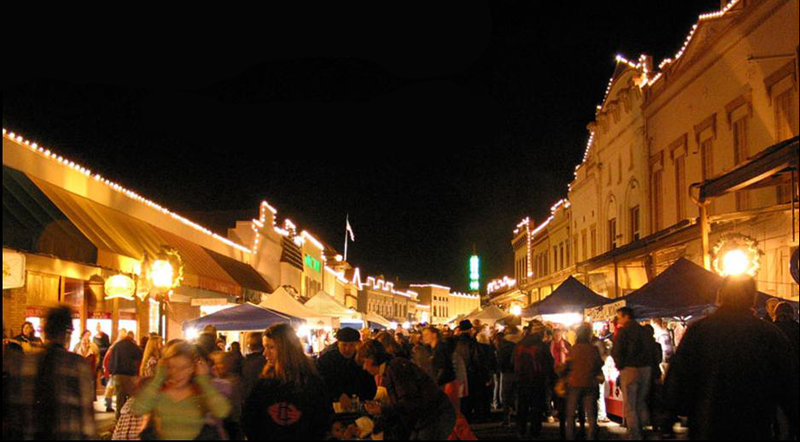 Recapture the spirit of Christmas past amid the charming surroundings of historic downtown Grass Valley California during the annual Cornish Christmas Celebration. Mill and West Main Streets are closed to motorized traffic and filled with the sights and sounds of an old fashioned Christmas; carolers, jugglers, musicians, the Grass Valley Cornish Carol Choir, Tommyknocker Cloggers and of course, Santa Claus. Handmade arts and craft from artists throughout California are displayed on our historic downtown Grass Valley streets. Dine in one of the many world-class restaurants found in downtown Grass Valley. 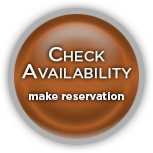 Sample local wines at one of three wine tasting rooms in downtown Grass Valley or just enjoy the simple pleasures of chestnuts roasted on an open fire. Festive activities from 11 a.m. to 4:00 p.m. Celebrate the holidays early 1900s’ style at Holidays at Empire Mine. With old-fashioned decorations, lavish period costumes, and festive live music, Empire Cottage will be brimming with good cheer, including complimentary cookies. Docents will be there to greet you and share insights about Empire’s glory days when it ranked as one of the most prosperous hard-rock gold mines in North American history. A short walk away, in the old Clubhouse, Santa and Mrs. Claus (with the help of local elves) will be listening carefully to Christmas wishes. Outside local vendors will be selling coffee, hot dogs, and other snacks. The Mineyard will be buzzing with activity. Take a peek in the Mine Shaft, the Machine, Wood, and Blacksmith Shops – and imagine what life was like during those days of hard work, grit and glory! Begin your holiday season with a small-town glimpse of Christmas at the annual Country Christmas Faire. Rated as one of the top handcrafted shows in Northern California, the Faire features unique gifts from top artisans from across the state. Visitors will enjoy strolling live entertainment, festival foods, hay rides, Santa and his elves, and a community bon-fire. 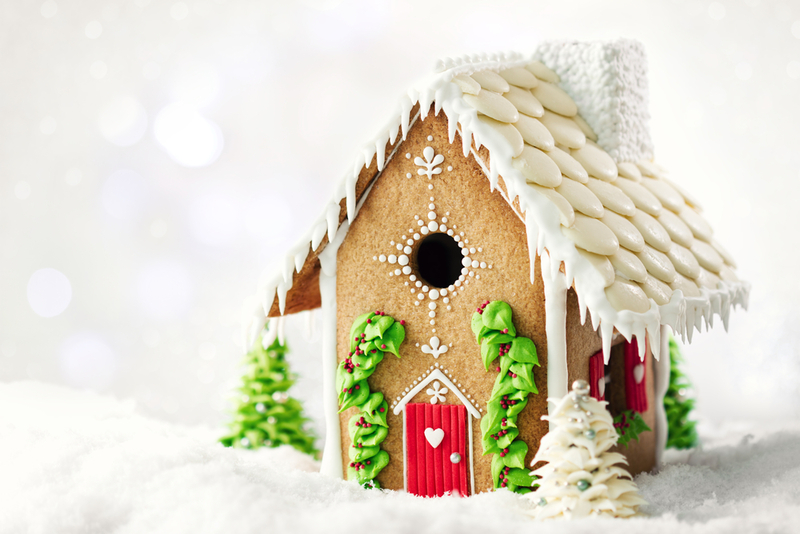 Don’t forget to check out the Gingerbread House competition. 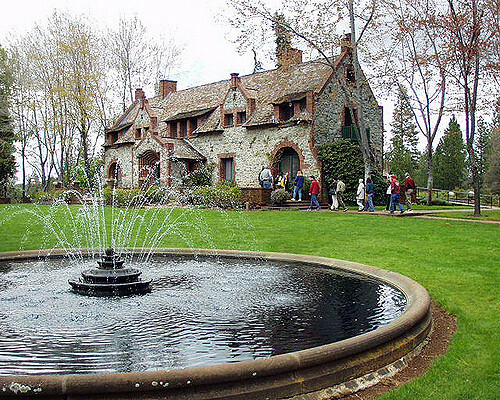 This entry was posted in Nevada County Things To Do, Newsletter. Bookmark the permalink.